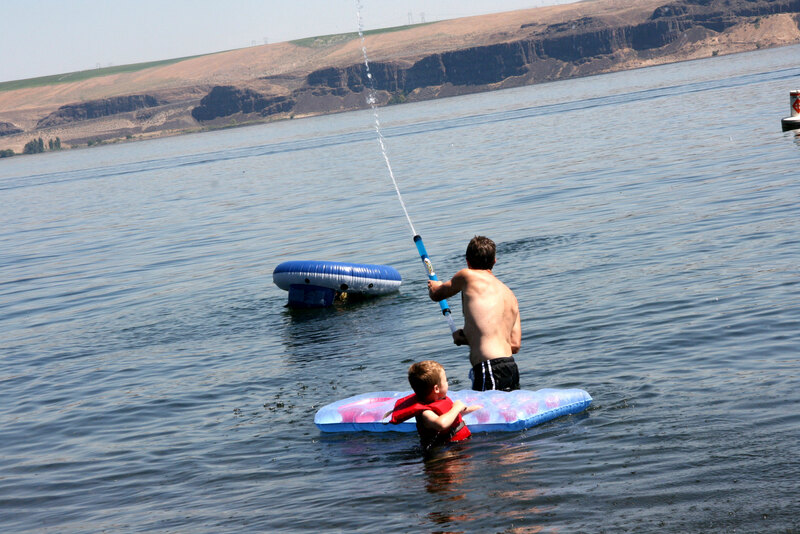 Columbia River, Friends and Water Fun! We continued our exploration of our new home yesterday. 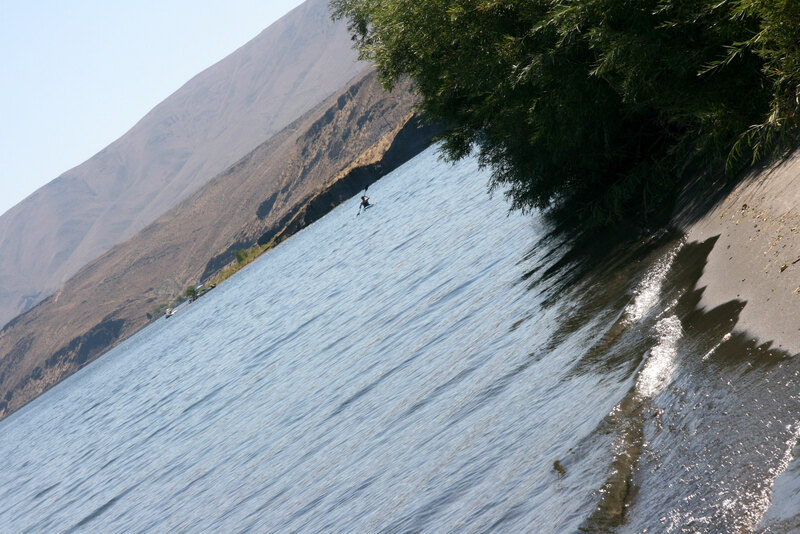 Friends invited us to hang out with them at Wanapum State Park. It’s about a half hour from our house, and it’s on the Columbia River. I am amazed by the beautiful places we are getting the chance to explore here. 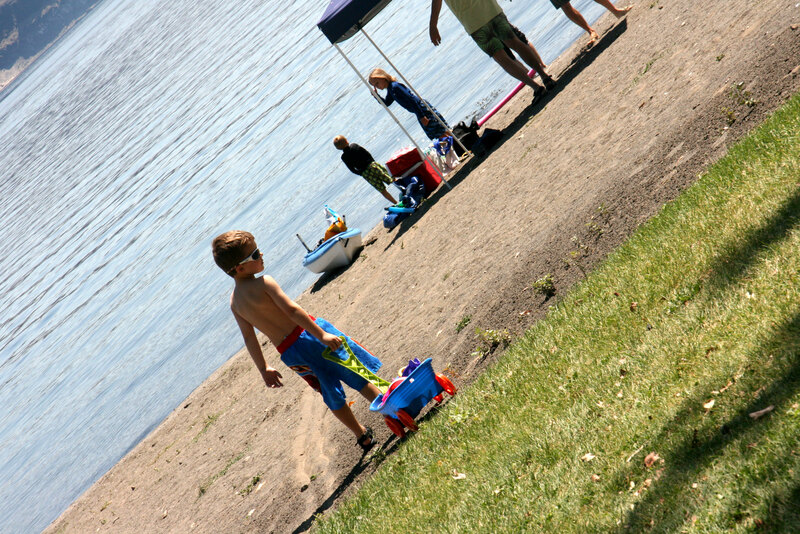 Davey had so much fun playing in the sand and then in the water. He had several friends to play with, and they had a big time. 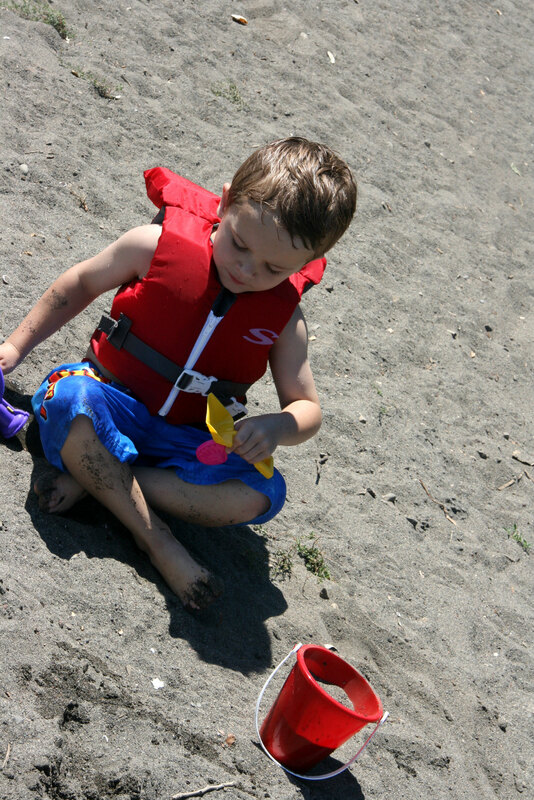 It was the first time that Davey had ever had a lifejacket, and he did great with it. He didn’t want to take it off. There were water battles. I think David is having the most fun in this one and the kids are taking cover under a raft! David tried kayaking for the first time. He took off down the river, and we didn’t see him for awhile. Apparently around the bend there were a bunch of small caves where swallows have their nests. I want to kayak there next time to see that. 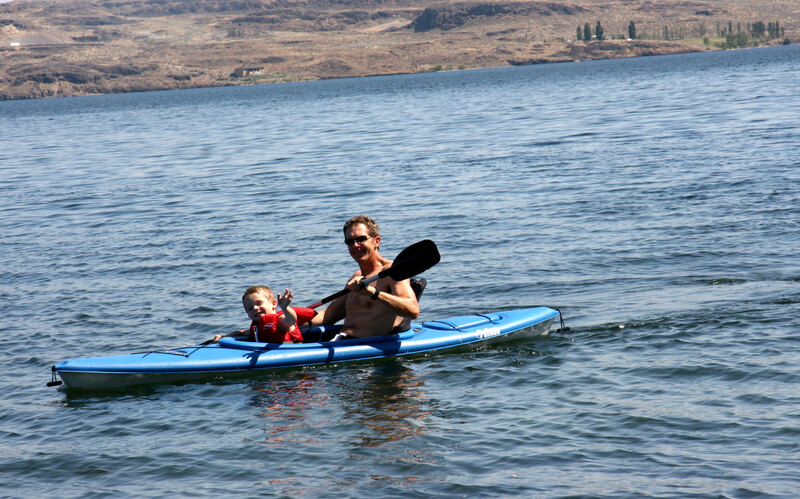 When he got back, he took Davey for a kayak ride. I tried it out too and loved it. Little Davey was very concerned that I was not wearing a life vest though. I didn’t go out very far, but I promised that I would wear one next time. 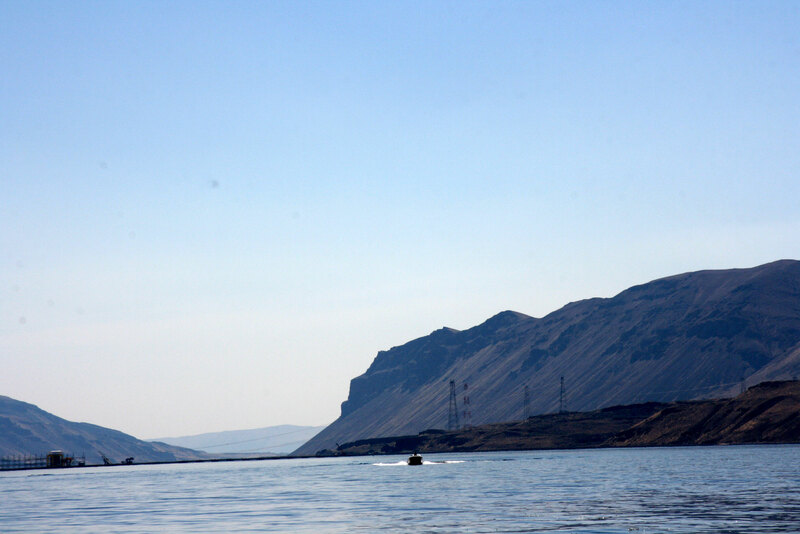 This entry was posted in Explorations and tagged Columbia River, Wanapum State Park by cpeezers. Bookmark the permalink. I’d say the new move has been a success!